Naples Men's Discussion Group – An active forum for discerning thinkers. 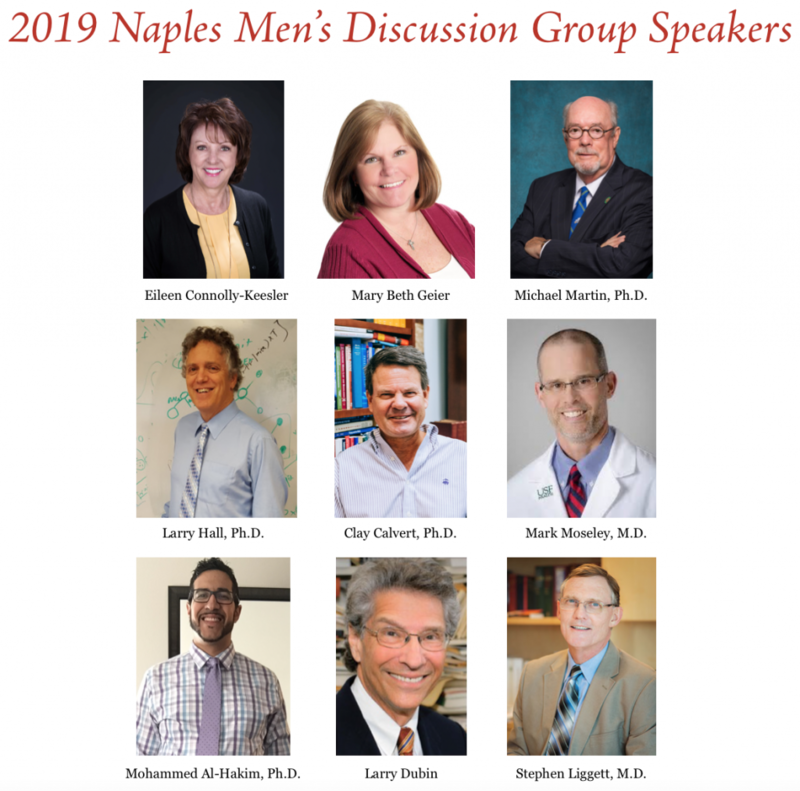 Welcome to the Naples Men’s Discussion Group website. The purpose of the group is to inform and stimulate thinking and discussion by inviting many leaders of our Southwest Florida community to share their passions, work, opinions, and plans. Past presentations have covered the economic and cultural growth of our area. In addition, we have hosted speakers who have educated us on national and international political and economic matters. Our sessions provide an active forum for a discussion of the issues presented. All speakers are thoroughly vetted by a committee at least once prior to being placed on our program schedule.